Really cozy apartment with room for 2 adults close to the city center and the Metro which gives you easy access to the airport and the rest of the city. You will also have access to a common court yard from this apartment. Super apartment at a real good price! 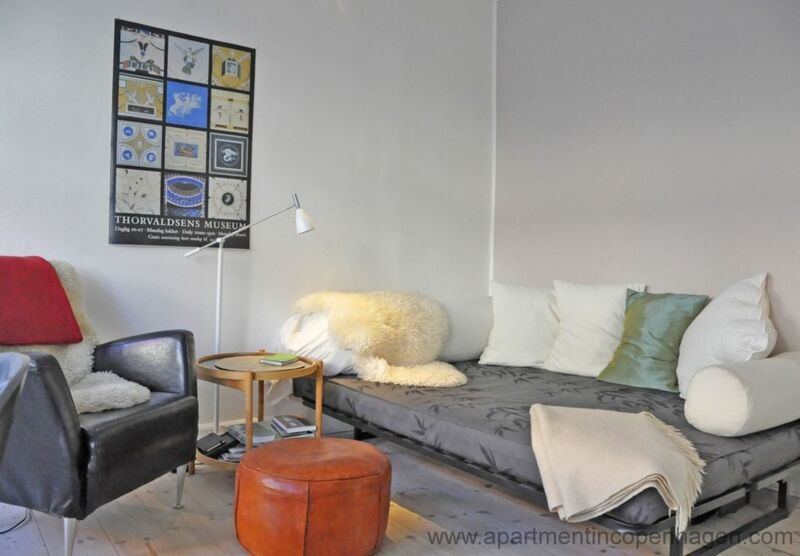 Great location close to the center, Freetown Christiania and the Airport. Entrance, combined living room / bedroom, office, kitchen, combined toilet/bathroom with shower and access to a very charming common court yard. In addition you will have access to Free Wi-Fi, TV with a limited number of channels and DVD player. There is no access to a laundry. The apartment is located on the 2nd floor in a building without elevator. Note: From 27/5 - about 1/8 2019 there will be renovation of the backside of the building to the courtyard. The apartment is very warm and it made my visit much more pleasant, it felt like home. Nice flat, very close to the metro station in a quiet street. Not too far from city center by feet. Don't be afraid of the tiny bathroom, it's manageable. All the furniture was there along with dishes, CDs, DVDs and books. The decoration is really nice, and the flat is well furnished. It is located on the second floor, with a nice view on the courtyard.